Moving on from the romance between human and vampire in The Twilight Saga (which mercifully comes to an end on the big screen this weekend), Summit Entertainment is looking at young love for another iconic horror creature. As we saw in the first two trailers for Warm Bodies, the adaptation of Isaac Marion's novel of the same name, Nicholas Hoult (X-Men: First Class) plays a zombie named "R" who falls in love with a human (Teresa Palmer). It looks like it's going to be a hard sell, and a new poster seems to aim towards the younger crowd. Expect the trailer in theaters if you catch Breaking Dawn Part II this weekend. Warm Bodies, written and adapted by Jonathan Levine from Isaac Marion's novel, stars Nicholas Hoult, Teresa Palmer, John Malkovich, Analeigh Tipton, Dave Franco and Rob Corddry. This "zombie love story" stars Hoult as R, a zombie who falls in love with Julie after he eats her boyfriend's brains and absorbs his memories. 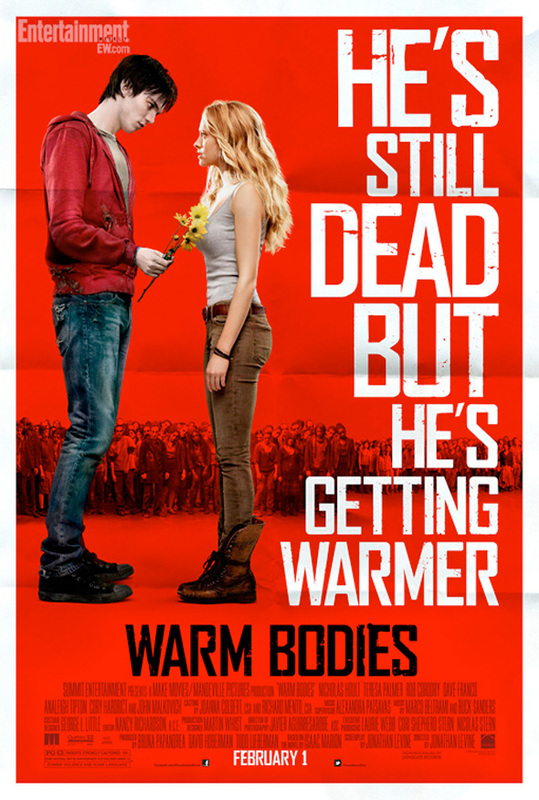 A genre-bending tale of love and transformation, Warm Bodies is a story about a boy who loves a girl… for more than just her body. Shooting was finished Montreal late last year, and Summit has delayed the release of Warm Bodies from this summer to February 1st, 2013 next year. Will you be seeing it? Congratulations! Movies have reached a new low.